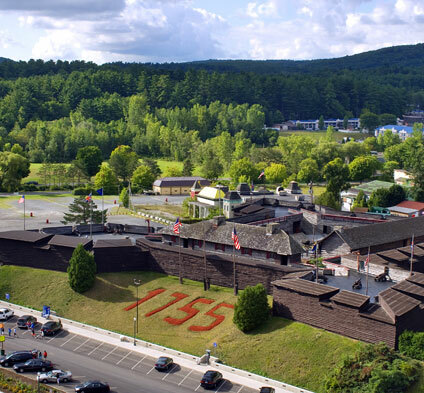 Bring history to life for your students with a field trip to Fort William Henry Museum in Lake George NY. In an exciting and interesting way, fort interpreters will relate to your students the importance of the French and Indian War, focusing on how the events at the Fort helped to lead to the ultimate defeat of the French in North America. They will also provide the link between the outcome of this conflict and the American Revolution. 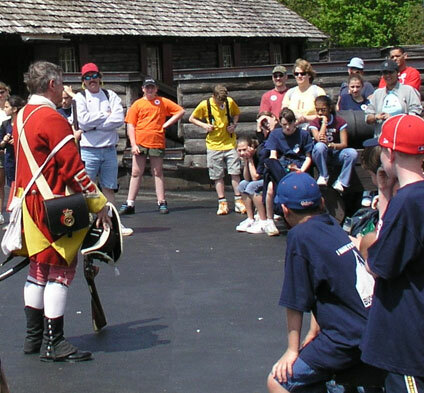 During your visit, students will observe how to load and fire a musket and cannon. The Lake George Educational Tour includes the fort trip above plus a one hour narrated cruise on Lake George. This cruise highlights formation of the lake, historical points of interest, great houses and important visitors during the Gilded Age and current challenges facing the lake. The Education Programs can also be tailored for scout groups, home school, summer camps and colleges. Make your trip even more memorable with the following options: ice cream, boxed lunch, Fort George tour.